Xiaomi to open Market Market and Lucky Chinatown Authorized Mi Stores soon! Home / mobile / news / xiaomi / Xiaomi to open Market Market and Lucky Chinatown Authorized Mi Stores soon! Xiaomi recently revealed that they will open two more Authorized Mi Stores in the Philippines soon. Two more Mi Stores in PH soon! The two new stores are located at the 4th level of Market! Market! mall in BGC, Taguig and the 3rd level of Lucky Chinatown mall in Binondo, Manila. 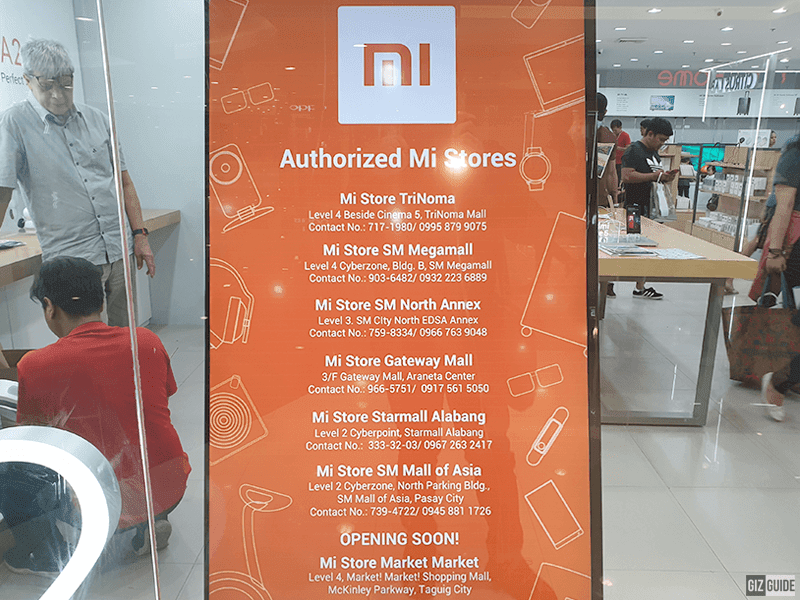 In total, Xiaomi will have 8 Authorized Mi Stores in the Philippines soon. To recall, Xiaomi have stores in TriNoma, SM North, Gateway Mall, SM Megamall, SM Mall of Asia, and Starmall Alabang. There's still no word when will the Chinese tech brand have stores outside of Luzon. Hopefully, they will have presence in Visayas and Mindanao as well. Why? Xiaomi offers a lot of value for money products like smartphones, tablets, laptops, smart home appliances, smartphone accessories, and more.